This guide gives you a brief insight into parish and town councils, as well as providing specific advice and information on how to become a town or parish councillor. What are community, parish and town councils? There are around 10,000 community, parish and town councils in England and Wales; they are corporate bodies and local authorities. They have a powerful voice to represent local people. What do these councils do? Community, parish and town councils are the part of local government closest to the people. They serve the smallest area and are responsible for the most local of matters. 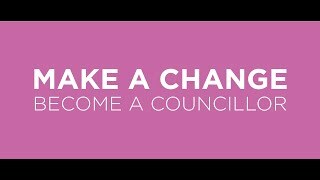 Very importantly, these councils can "precept" - raising a sum collected with the council tax each year to improve facilities and services for local people. town councils in England and Wales. Parish, town and community councils in England and Wales have a number of basic responsibilities in making the lives of local communities more comfortable, many of which are often taken for granted. Essentially these powers fall within three main categories: representing the whole electorate within the parish; delivering services to meet local needs; and striving to improve quality of life in the parish. Individual powers include the provision and maintenance of community transport schemes, traffic calming measures, local youth projects, tourism activities, leisure facilities, car parks, village greens, public lavatories, litter bins, street lighting, street cleaning, burial grounds, allotments, bus shelters, commons, opens spaces, footpaths, bridleways, and crime reduction measures. Community, parish and town councils can also comment on planning applications - they are statutory consultees (they have to be consulted if they so wish) and can be represented at public inquiries. parish. This is part of the government's initiative to revitalise local democracy. What do elected representatives do for me? Community, parish and town councillors represent the people living in their local area at the closest level to the community. When decisions are being made they are there to put your views across. Where can you find parish councils? Parish councils are not only found in rural areas. Many metropolitan areas of England have created councils where there were none. Areas of Leeds, Liverpool and Birmingham, among others, have created parish councils to deliver the type of local representation residents felt they otherwise lacked. London is the only city in England not legally able to create parish councils - and the government has indicated they may change the legislation that prohibits parishes for London. Scotland also has community councils, but they have fewer powers. Visit www.ascc.org.uk for more information.